Just a few moments of your time could save you thousands of dollars in mobile home financing charges on your mortgage. We make it fast & easy to get a mobile home loan with many types of programs from nationally recognized lenders. Do you have questions about manufactured home loans? We want to make it easy and we provide a list of questions that our customers ask daily. We have created the Mobile Home Purchase Guide to give you a look at the benefits and process of financing. Our professional, friendly and informed loan specialists are ready to discuss your financing options. Give us a call at (800) 238-9202 or complete the short request form below and we'll be in touch with you right away. Find current rates on mobile home financing programs by completing the form below. If you have experienced bankruptcy, foreclosure, repossession, charge-off or judgments within the last 5 years, or if your credit score is below 650, please visit our credit repair section before applying. Call (800) 238-9202 for more info. 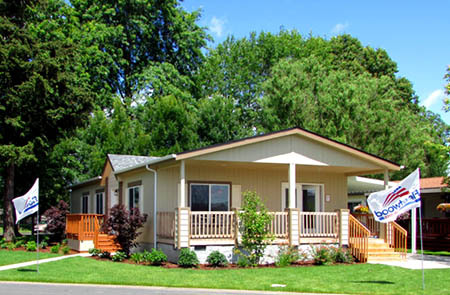 Learn More About Mobile Home Insurance & Get A Free Quote. We make it easy to get a quote and sign up for a new policy. "I was a little hesitant at first going on-line, but your company performed flawlessly. Thanks for all of your staff’s professionalism provided with my “in-park” mfg. home loan." "You’re the Bomb! Brenda, you did a fantastic job on my manufactured home refinance. We appreciate all of your hard work." "Many thanks for helping us with our “in-park” mobile home loan and insurance. Your company was very, professional, did exactly what you promised and closed our loan quickly." "Your company was very attentive to our situation. I would recommend your services to anyone wanting to purchase a mobile or mfg. home." We make Mobile Home Financing quick and easy with many home loan programs from nationally recognized lenders, fitting your specific needs.